But sometimes you want to have control of the content that is used for the preview on the sharer site. And thats where the opengraph metatags come into play. With them you can specify title, description and image of the preview snippet. Thats great, but it has some caveats, which i like to describe while introducing the silverstripe opengraph module by Damian Mooyman. The module is pretty well done and delivers most content prefilled. So just install it and the rest comes automatically through the $MetaTags var in your template. 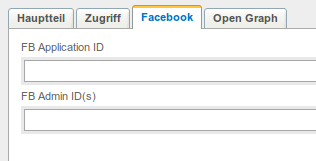 In the backend you can insert some information like locality and your facebook app id. But of course you have to do some finetuning to represent your content best. Why should you use opengraph metatags? To have control over the content of the sharer snippets. Where should you use opengraph metatags? Where you can control / predict the content. 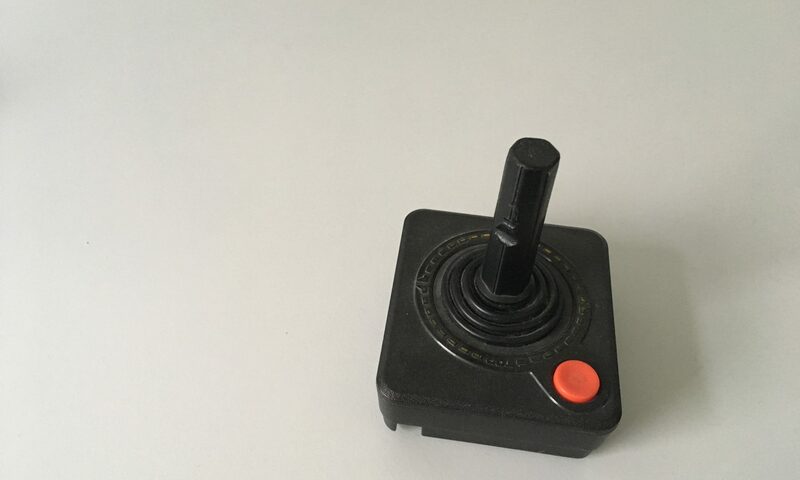 Its not always a good idea to preselect the image. F.E when you have RichText HTML Field where the Content Manager can insert images. Then those images might be good to be shared. But with a preselected image via the og:image tag, the facebook share box will not list the other images. So on some pagetypes it might be better to not use the og tags and let the facebook parser do its dirty work. Treat your content right. So if you have a structured page type, think of which content fits and overwrite the resp. function of the module to serve the content you would like to see. 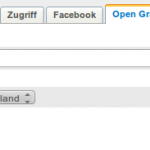 Who uses the opengraph metatags? – Google+ seems	to prefer schema.org annotation but uses opengraph as fallback and then meta tags and then content. – Pinterest also seems to use it, partly. 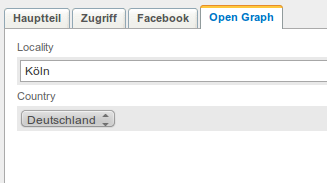 And at last here is the facebook debug tool to check your opengraph contents. I’m very impressed with your article. I’m really happy to see that my code could help someone else. This was the main intent of writing it. Hey Ivo, I’ve updated my module docs. Hopefully this will make it easier to use in the future! I’ve also been using schema.org lately for a lot of things. Not sure if it’s module-worthy, but it’s certainly a useful tool. where in the admin do those extra tabs show up? 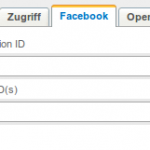 Quote: In the backend you can insert some information like locality and your facebook app id. hi stephen, you can find those tabs on the main node.